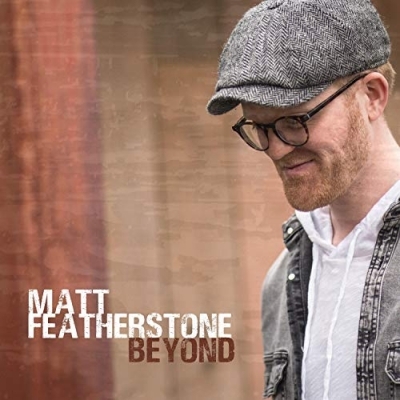 Matt Featherstone, a Franco British soul/jazz singer with soulful vocals and a vintage sound, has released his debut EP 'Beyond'. Cowritten with pianist Corben Lee it is a reflection on the meaning of our busy lives and draws on his jazz soul gospel and funk influences. Matt will launch the EP on 13th April in Cardiff at 7.30pm at the Table. Matt is no stranger to the music scene. Prinicipal flautist of the BBC National Orchestra of Wales,he grew up in a musical family, singing backing vocals for his father, in church and in various gospel choirs from a young age. A busy session singer, backing vocalist for various artists in France and the UK, and beatboxer with Shlomo and the Vocal Orchestra, he has only recently found his voice as a songwriter. Matt is proud to present this body of work as an introduction to his sound (influenced by Allen Stone, Lalah Hathaway, Stevie Wonder, jarrod Lawson, Gregory Porter...) and his reflective lyric writing. He is accompanied by some of Wales's finest session musicians on the album. A 4 piece band Corben Lee, Tim Lewis, Josh Moon and Matt Dwyer underpin the sound of the album, whilst strings, a horn section and layers of Matt's vocals complement the complex and exciting retro soulful accoustic sound. "'Above the clouds' featuring rapper Testament (Homecut) was written in a plane after being surprised that the sun still shon above the clouds on a rainy day, an image for our lack of perspective when we're caught up in our daily struggles under the cloud and forget the sun still shines above it", Matt explains. "'Take a minute' is a reminder whilst naturally quick to moan to take time to be grateful for the things we've been given. 'When all is said and done', Frantic lives often take control of us before we pause to assess what it's all about. 'On the other side' was written on the beach after hearing of the passing of my brother in law. Feeling torn between anguish and the peace of knowing he was better off where he was. 'Hourglass', As I hit my 30s I realised I wouldn't be forever young and didn't want to waste my days waiting for life to happen before it's too late. 'Beyond the years' expresses the hope I have beyond this life."